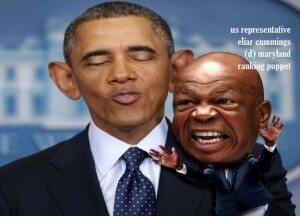 Elijah Cummings is torpedoing the Benghazi investigation in order to help Hillary Clinton get away with her shenanigans. The investigator, Thomas Harris Bennington, a 30-year police veteran, told Conservative Base that Cummings is being quoted on television news shows throughout the nation saying that the families of those who lost loved ones at the U.S. diplomatic mission in Benghazi, Libya on Sept. 11, 2012, spoke to him and asked that the committee of Democrats and Republicans not turn the proceedings into a political football. “I’m certain that those family members are disgusted with Cummings and the Democrats who have been stonewalling, badmouthing, and delaying the investigation just to help Hillary Clinton’s presidential campaign. I’m absolutely sure they didn’t ask him to run interference for Clinton and her minions,” said Bennington. But in the usual Cummings style, it seems he’s being deceitful about the families of those killed on Hillary Clinton’s watch at the State Department. For example, from the beginning the mother of one of the deceased Foreign Service officers claims she is still waiting to hear from Clinton. As Secretary of State Clinton had attended the services for Sean Smith and the others killed by terrorists and Mrs. Smith said Clinton promised her she would see justice and that it was because of a movie video that her son was killed. Patricia Smith, the mother of one of the four victims of the Benghazi attack, said this week on Fox News that she still has not heard anything from Hillary Clinton. “At least Fox [News Channel] is allowing this poor woman who lost her baby — yes, Sean was her baby — to speak out. Other news outlets won’t give Mrs. Smith the time of day because they’re all in the tank for Clinton as president, even if she’s a liar and an incompetent,” said political consultant Mike Baker. Since that service in 2012, Smith said she’s never heard from Clinton or her minions, and she accused the Department of State of covering up information about her son’s death. “As far as I’m concerned, Hillary is anti-mother. She will not give me an answer to anything. As far as I know, it was the video that caused everything because no one has told me any different,” she said. While the Democrats claim they are bending to the wishes of the families who lost loved ones, Smith said she believes Clinton should be the center of the investigation because the Benghazi compound was her responsibility and she neglected to beef up security knowing there had been bombings and other terrorist attacks in that city. “She has got to let me know. I am the mother. She wasn’t. Why does she know and I can’t find out about my son? It’s been three years. How long is it gonna take before I find out something?” asked Smith. She also claims she was told secretly by some Americans who were on the ground that her son could have been saved if they had been allowed to rush to the compound during the attack. Another family member that Cummings seems to have missed hearing from, the father of Tyrone Woods, Charles Woods, appeared on Fox News’s Hannity and read aloud four questions about Benghazi from a letter he’d sent to President Obama. According to Tom Bennington, President Obama’s statements in his response letter to Charles Woods are either hotly disputed, demonstrably false, or an illogical evasion. 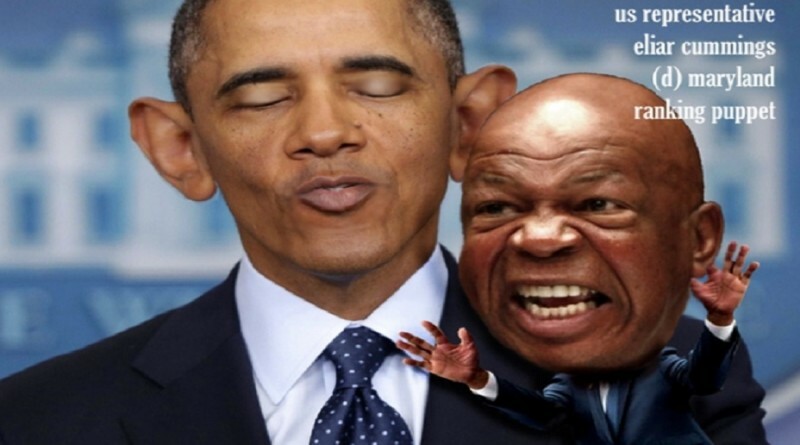 Cummings is a disgusting human being and I use that term lightly. Personally I find it hard to even classify him as human. He has no soul. Cummings is the Algonquin J. Calhoun of the Obama administration.